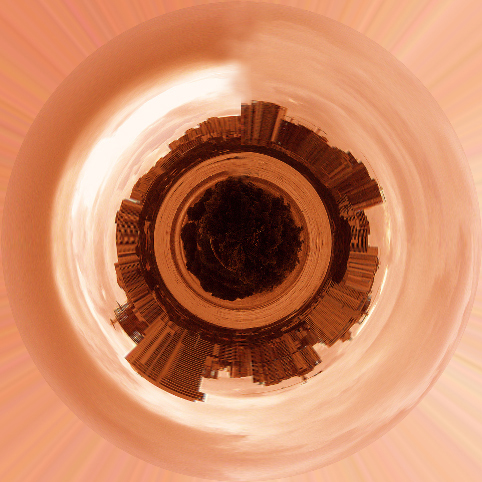 With the downtime over the christmas break I tried out making my own cityscape planets using the concise photoshop tutorial at http://photojojo.com/content/tutorials/create-your-own-panorama-planets. Edit: This tutorial is no longer online, I have written my own here. 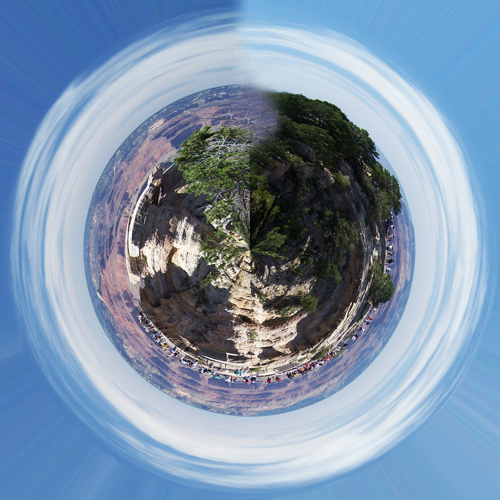 The process is actually very simple using Photoshop’s Polar Coordinates. 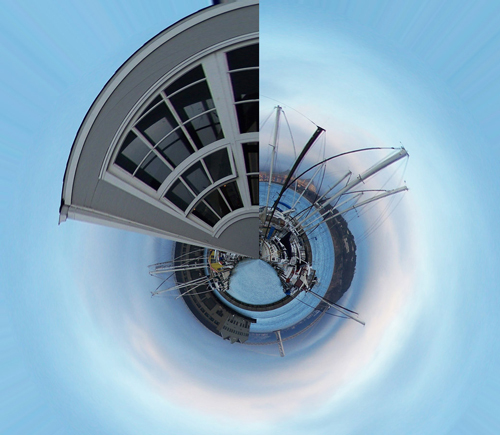 The most amount of time is spent fussing to get rid of the seam line caused by doing a 360 join on the image. 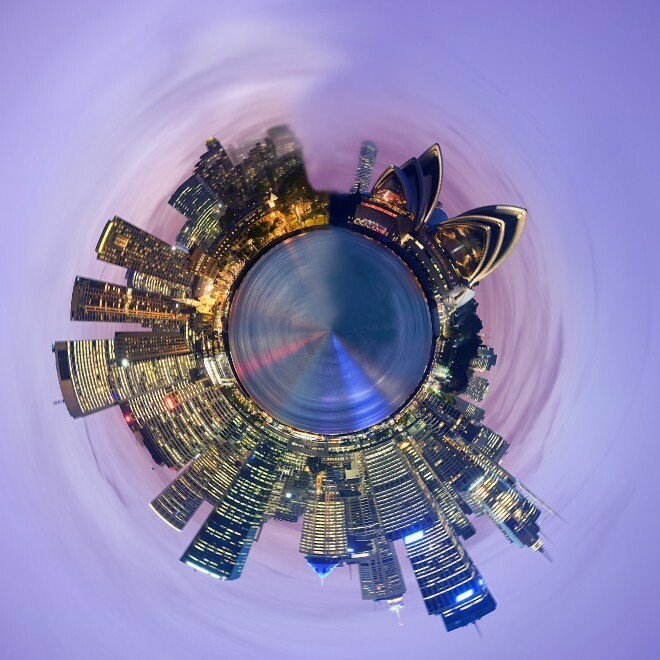 I did a nighttime panorama globe of my hometown, Sydney Australia. I experimented with a dusk shot I took overlooking the Bay Bridge in San Francisco, with some interesting results because of a partial building in the frame. Another one of my own photos, this time the South Rim of the Grand Canyon National Park. 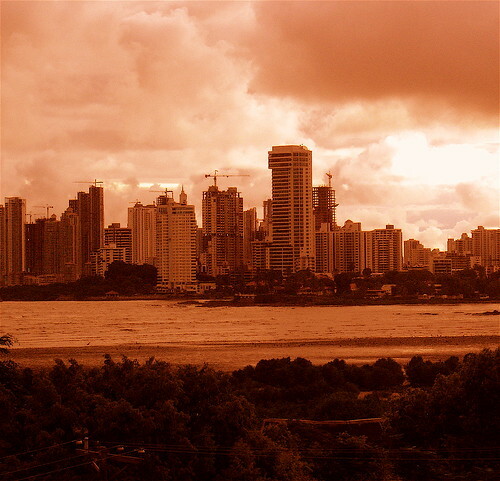 Now for a delightful tongue twister, a panorama of Panama. This shot had fantastic orange sunset tones that make it look almost surreal. This effect is a bit of a limited use party trick, I’m not sure what practical use you’d have for such images but they are impressive to look at.